The brief was to design a tone arm that performs to the same standard as the Linn Sondek LP12 turntable. The result is the Linn Ittok LVII pick-up arm which has been acknowledged as a significant advance in disc playing equipment. The Linn Ittok LVII was designed with several performance features in mind. First, stability. It it a coherent mechanical system designed to maintain a precise relationship between the cartridge and turntable. This us due in part to a bearing system that minimises intermittent or continuous loss of dynamic accuracy. Second, simplicity. Dials for both tracking weight and bias force enables easy and highly accurate adjustment, making the Ittok simple to install and convenient to use. Features a straight arm tube, fixed headshell and calibrated tracking force and bias controls. 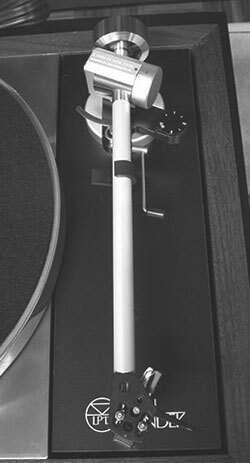 Linns top Tonearm in the 1980's. Linn Ittok LVII / LV-II owners manual, service manuals and schematics are for reference only and the Vinyl Engine bears no responsibility for errors or other inaccuracies. The PDF files are provided under strict licence. Reproduction without prior permission or for financial gain is strictly prohibited. This website is not affiliated with or sponsored by Linn.